As he was being carried by Xia Xin Yan over the vast sea, Shi Yan was filled with shock. 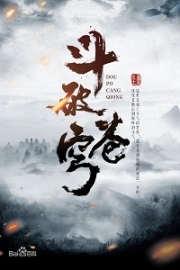 That huge hand, which had torn through s.p.a.ce, had carried a ma.s.sive amount of devil air, so much so that it could grab Xiao Hanyi, who was at the Second Sky of the Sky Realm, and take him away. That incredible power horrified Shi Yan, as he realized that he still had a long way to go in his Martial Arts. Still lost in his thoughts , Shi Yan, suddenly, felt that he was sinking. His expression changed. Shi Yan quickly looked at Xia Xinyan, only to find that she had a bit of blood on her neck, which must have come from her mouth. “Are you hurt?” Shi Yan asked, concern in his voice. From his view, he couldn’t even see a single island or ship. It would take a great amount of luck to survive this. 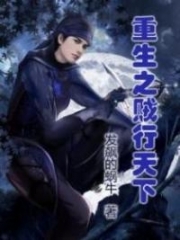 He thought that Xia Xinyan would be able to take him to an island before her Reincarnation Martial Spirit was used up. That hopeful thought of his disappeared. Then Xia Xinyan’s soft body went down, and her hands, which were holding onto Shi Yan, began to lose their strength. With a rigid face, Shi Yan grabbed Xia Xinyan’s hand and fell into the sea with her. Shi Yan and Xia Xin Yan sunk a few dozen meters into the sea before they slowly stopped sinking. Salty sea water gushed into Shi Yan’s mouth and nose, which made it hard for him to breathe. Xia Xinyan was hurt by the devil light, and her Reincarnation Martial Spirit had been completely used up, so she fainted right away. In the middle of the sea, Shi Yan held his breath, wrapped his arms around Xia Xinyan, and kicked his legs to swim to the surface. Shi Yan popped out of the sea and took a greedy breath of the fresh air. Floating on the sea with Xia Xinyan in his arms, he was at a loss about what he should do. On the vast sea, he had to endlessly move his legs, and use his Profound Qi, to keep both of their heads above the water, but his Profound Qi would be used up if he couldn’t find an island to rest. Then both of them would drown. Floating on the sea, Shi Yan looked around, yet all he saw was the boundless sea. In his arms, Xia Xinyan’s veil slipped down, and he could finally see her delicate face. Her gown was wet with water, making it stick to her body and revealing a lot, which was very appealing. Holding Xia Xinyan in his arms and feeling her supple curves, even in this desperate state, Shi Yan was turned on. Xia Xinyan was a rare, gorgeous woman, and now that her attractive body was this close to him, Shi Yan was having trouble focusing on his current situation. Shi Yan kept taking deep breaths, trying not to think about Xia Xinyan’s hot body, and, after a few minutes, he finally managed to calm himself down. I must find somewhere to stand! 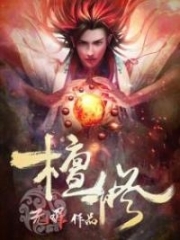 With a serious face, Shi Yan released his Spirit Power and extended it in all directions. He sensed that there were a lot of fish swimming in the sea. However, within a thousand miles, he couldn’t find any land to stand on. Treading the water, Shi Yan’s eyes blinked. He made up his mind and began to move east. Turning Xia Xinyan over, Shi Yan carried her on his back. Two plump orbs were pushing against his back, which, again, stirred up ripples in Shi Yan’s body. The woman on his back had the top appearance and hottest body he had seen, and her reserved personality was also quite attractive. Though Shi Yan kept telling himself that it was not the time to think wildly, his mind was controlled by this gorgeous woman on his back. Carrying Xia Xinyan on his back, Shi Yan began to operate his Profound Qi, making him swim faster and faster, meanwhile, he used his Spirit Power to guide him. During that process, he still needed to fight against his l.u.s.t with his reason. The sun disappeared into the clouds and the moon climbed up high into the sky. The power of the stars went into Shi Yan’s body and concentrated in his heart. Unfortunately, he couldn’t use his Star Martial Spirit. One day pa.s.sed. Shi Yan was still swimming eastward while carrying Xia Xinyan on his back. Another day pa.s.sed. Shi Yan still kept swimming, yet now his Profound Qi was almost used up. His Spirit Power had already been used up, so he couldn’t perceive his surroundings anymore. Now he had to move forward and hope he was lucky enough to come across an island, even finding a rock would be a blessing. He would be fully satisfied if he found a place to set his feet on and recover his Profound Qi. In the sea, he didn’t dare stop swimming or he would sink. Now he had very little Profound Qi left in his body, and Xia Xinyan was still in a coma with disordered Profound Qi in her body. That day, Shi Yan was so exhausted that he was wondering if he needed to use his negative energy. Once he used the negative energy, he would move fast for some time. But the repercussions would also exhaust him. Then he would definitely sink. He had thought about using the Yin Pearl, but it wasn’t currently compatible with his Profound Qi. The Star Martial Spirit gained strength from the stars, but without the Martial Spirit creed from the Three G.o.ds Sect, he could hardly control it. The moon was like a plate in the starry sky, and the sea breeze caressed his skin. But Shi Yan was not in the mood to enjoy the beauty as his Profound Qi was about to run out. If he still couldn’t come up with any ideas, then he would sink into the sea before dawn. Shi Yan had already made up his mind that he would operate his negative energy as soon as his Profound Qi ran out. “Shi-... Shi Yan.” Suddenly, a woman’s soft whisper came from his back. Shi Yan’s so glad that he instantly turned his head around. 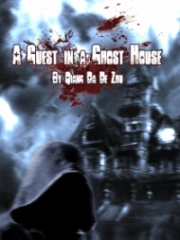 Xia Xinyan leaned against Shi Yan’s back, and her head was laying on his left shoulder. As Shi Yan turned around, his lips just happened to press on hers. Shi Yan felt as if he was struck by lightning, and his eyes were soon filled with desire. However, he quickly turned his neck and kept some distance from Xia Xinyan’s cherry red lips. 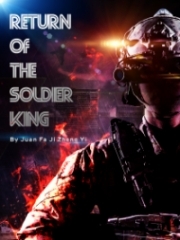 Xia Xinyan’s eyes were filled with wrath and stared at him coldly. Xia Xin Yan’s expression changed a little, and she tried to struggle off Shi Yan’s back. Her b.r.e.a.s.t.s then rubbed on Shi Yan’s back, making Shi Yan much hornier. The desire in Shi Yan’s eyes made Xia Xinyan realize it was inappropriate. In just an instant, her pale face blushed as bright as an apple. Xia Xinyan was so shy. Being the pride of the Xia Family, she had diligently trained from a young age. For these years, she had devoted herself to training, and never took any interest in a man. However, today she was leaning on this goat, her b.r.e.a.s.t.s pressing against his back. Xia Xinyan felt so ashamed that she would have killed Shi Yan, if it were not for the fact that she had no energy right now. Staring at Shi Yan, Xia Xinyan’s cheeks turned more and more red, and the pace of her breaths quickened. Her shame and anger building, she was getting ready to kill Shi Yan. 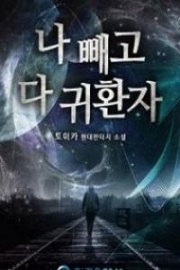 You're Read God Of Slaughter c120 online at NovelOnlineFull.com. You can use the follow function to bookmark your favorite novel ( Only for registered users ). If you find any errors ( can't read,broken links, can't load photos, etc.. ), Please let us know so we can fix it as soon as possible. And when you start a conversation or debate about a certain topic with other people, please do not offend them just because you don't like their opinions. You're reading God Of Slaughter. This manga has been translated by Updating. Author(s): Ni Cang Tian,逆蒼天. Already has 7628 views. Current Time is 18-Apr-2019 12:26:39 PM.